Will Essure’s Black Box Warning not be required after all? This article was updated from its original version on Sept. 23, 2016 to include comments from FDA representative Deborah Kotz regarding the future of Essure’s black box warning and the agency’s steps towards including it on the device’s label. Wednesday, Sept. 21, 2016 – San Diego, CA — Last week, the Essure Problems advocacy group met with members of the U.S. Food and Drug Administration in Washington, D.C. to discuss the future black box warning for the Essure device. The warning was initially proposed by the FDA in February. At the latest meeting, however, FDA representatives reportedly told the Essure group that the warning was not actually a regulation order, but a guidance. Guidances contain nonbinding recommendations and “do not establish legally enforceable responsibilities,” as noted in the FDA’s draft guidance for Essure. 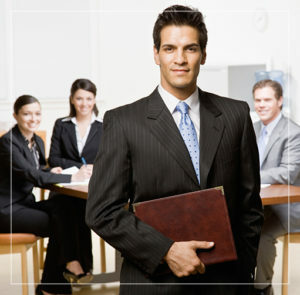 The FDA did note that guidances “carry weight” with manufacturers. 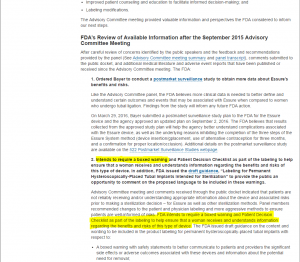 The guidance for Essure would “describe FDA’s current thinking on [the] topic,” but would only make suggestions and recommendations for the black box warning. It would be up to Bayer Healthcare, the maker of Essure, to implement those recommendations. Does this mean Bayer may not have to include the future black box warning for Essure at all? The FDA’s response to that question was “I don’t know,” Essure Problems reported. Currently, the label for permanent hysteroscopically-placed tubal implants intended for sterilization — a large umbrella that includes the Essure device — is in the draft stage. Along with the boxed warning recommendation, it also contains a recommended patient decision checklist. A final guidance has not been issued yet. The FDA told Essure advocates that more than 1,300 comments had been submitted regarding the labeling guidance drafts and those comments must be reviewed (and possibly implemented) before a final guidance is printed. The FDA has said it “intends to require” a black box warning on Essure for many months, but clarified last week that it cannot force Bayer to adopt the warning after all. The agency also explained that if Bayer does choose to go ahead with the recommended label change, there is no mandated time frame as to when the change must be implemented. An FDA representative also explained that if the federal agency wanted to pursue a required mandate for the black box warning, it would involve formal rule making and a separate process that could take years, Essure Problems posted. As of now, the FDA is not pursuing regulations for Essure devices, the rep said. 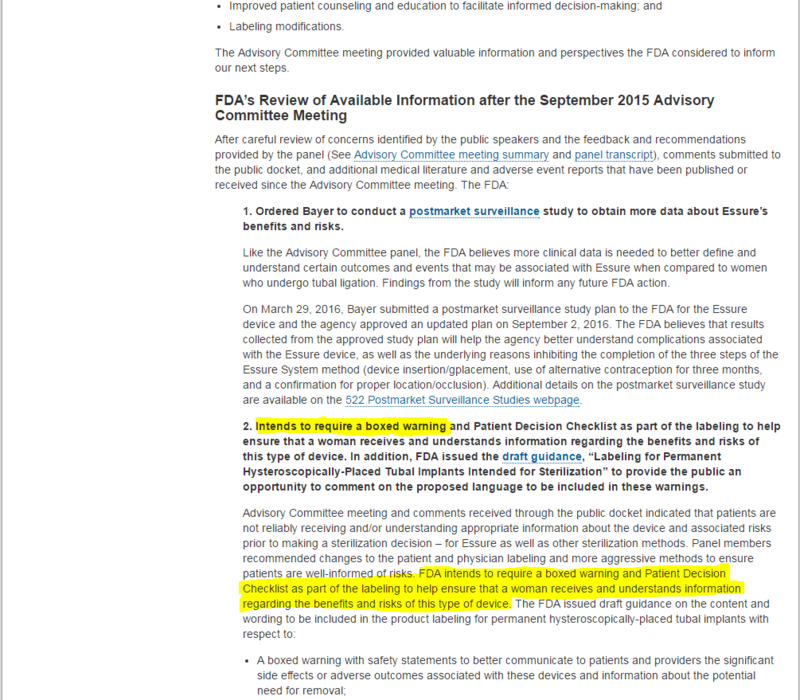 This appears to be a shift from the FDA’s initial intentions to require a black box warning on Essure’s label. Since the FDA’s September panel meeting one year ago, it has always stated it “intends to require” a black box warning as part of the device’s labeling. Deborah Kotz of the Office of Media Affairs, contact for the Center for Devices and Radiological Health, stated in Sept. 2016 that the FDA still plans to issue final actions and take steps to require a boxed warning and checklist. However, she said she “could not comment further” on what those steps may be. It appears the FDA may have lost sight of their original intentions.